There are a number of people who really don’t value the power of a Thank You Note. What I actually mean is that they do underestimate its power. And it is all because these days it is quite easy to send a text message or a quick email or a phone call to the person and say a thank you. But do you know that a simple, handwritten thank you note says much more than that? The old saying goes like ‘It’s the thought that counts’. And yes, it really counts because your simple, handwritten thank you note is one of the perfect ways to show appreciation to the person or for any occasion with sincerity and thoughtfulness. It is really a struggle for people to remember what to actually write a thank you note. And do you know how to write a thank you note? The only thing which we remember is to make a lasting impression on people and get their appreciation. Though it is really hard to get started with writing a thank you note, but if you remember the simple instructions, then you can easily write beautiful thank you notes on your own like a pro. The simplest thank you note template must talk clearly about WHO, WHAT, and WHEN. Obviously, there are multiple people to whom you want to say thank you. So, just make a list of those people. For instance, if you thank you note is for the people who came to your party in honor, then list out the names who gave you the gifts. And you must list out the names of those people who helped you in organizing an amazing party, everything with the planning, decorating and so on. Here I will be sharing a basic template to write a thank you note. To get started with it, I have even mentioned few sample phrases. Writing a thank you note for someone who did or gave you something is one of the best ways for expressing your gratitude. You need to use the name of the person correctly in your thank you note because it is really important to GREET the correct person. Begin your thank you note with the two phrases, Thank You or just EXPRESS YOUR THANKS. Just show the person that how much you appreciate their gift or help and how you are planning on it. Whether you received a hard cash from the person, just ADD SPECIFIC DETAILS that how you are going to use it. You just need to tell the person that you are thinking of them to make them learn that you actually LOOK AHEAD. Add all the details to say thanks to the person in all a different way. What I mean to say is that you just need to RESTATE YOUR THANKS. It is a must to END the thank you note with REGARDS. Yes, it is really important to safely standby at the end of your thank you note. It is recommended or you can say it is an advice to all of you to send the thank you notes as quickly as possible. The best time to send the thank you cards to people is within a span of 15 days from the day of the event. And if it’s late, then you can start your thank you note with an apology. 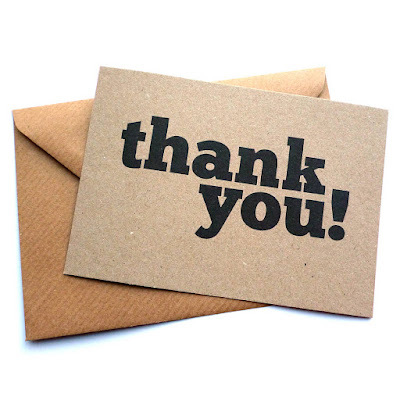 After many different occasions, sending or giving the thank you notes are appreciable. Every person who did something for you or throws a party or gifts you something deserves to be appreciated. It is kind of you to acknowledge the person who went out of his/her way for you. There is no occasion, event or action which doesn’t deserve an appreciation. And remember to be polite while appreciating people. Your short, sweet and simple, thank you messages can do wonders. So, if someone has done something special for you or recently attended your party and gave you a gift, then don’t forget to send them a thank you note.